On Wednesday, it was revealed that Maroon 5 would be providing the entertainment for this year’s Super Bowl halftime show. “The offer has been extended and they’ve pretty much accepted,” a source told Variety about Maroon 5 accepting the performance. 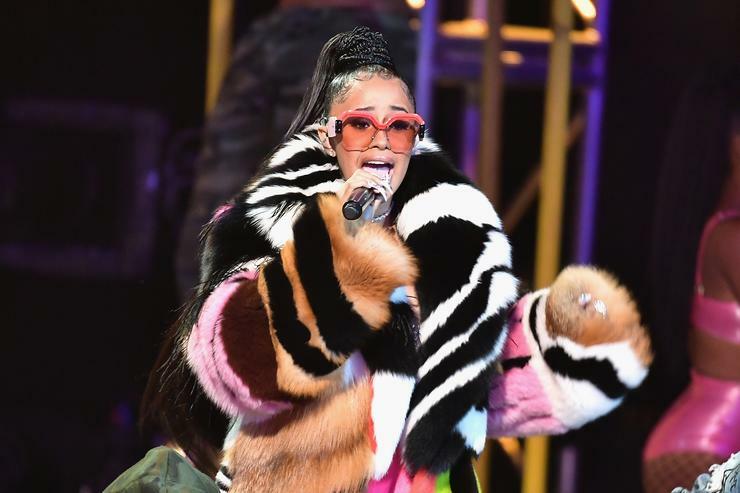 At the time of the news, fans quickly speculated that some surprise guest would come out as well, considering the rock group has worked with Cardi B, Kendrick Lamar & Future this year, and rumors are already circulating on who that might be. According to Billboard, Cardi B and Travis Scott are on the short list to join Adam Levine and his bandmates as special guests during Super Bowl LIII at Atlanta’s Mercedes-Benz Stadium on Feb. 3. Although this isn’t confirmed, and is simply a rumor for now, it would be very fitting for Cardi, who helped curate one the year’s biggest hits with Maroon 5 titled “Girls Like You,” which is currently No. 2 on the Billboard Hot 100. Maroon 5 follows recent Super Bowl halftime performers including Justin Timberlake, Beyoncé, Lady Gaga, Katy Perry, and Bruno Mars. We’ll keep you posted if any more details on the performance & possible Cardi B appearance surfaces.